Did I invoke “karma” in the title of this post because M. Night Shyamalan, director of The Last Airbender, is Indian? Sure. But given how, in the 24 hours since the movie’s opened, it’s already being heralded as quite possibly The Worst Movie Ever, he may not be for long, as soon people will be forming long lines not to see his latest cinematic debacle but, instead, to take away his Indian card, his Asian card, his DGA card, his WGA card, his AmEx card, and– why stop there?–even his SUBWAY® card, if he’s into that sort of thing, and something tells me that if white bread’s involved, he is. Wow! 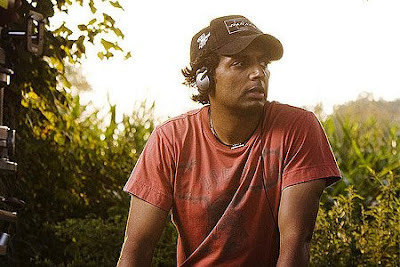 Happy 40th birthday to M. Night Shyamalan, whose big day is today! We think your recent movies–although probably very successful–are kinda donkey balls, but who really cares? You seem like a great guy, and don’t look a day over 25. Have a great benchmark year! Filed under: Birthdays, Directors, Horror Movies, M. Night Shyamalan, Meh Films, Screenwriters, Sure 'The Sixth Sense' Was Amazing--But Did You See That Disastrophe 'The Happening'? The Last Airbender Trailer Is Here!!! Oh wait. It’s a movie by M. Night Shyamalan, director of the most successive crapfests since, uh, M. Night Shyamalan.